In a world composed of almost seven billion people, about 2.2 billion of them claim to be Christian. And while Christianity is continuing to grow at a modest rate, other religions are growing at a faster pace. Some scholars predict that Islam will overtake Christianity as the world’s largest religion by the middle of the twenty-first century. Predictions aside, religions are competing for the world stage, and in the competition, Christians seem certain that God is on their side. 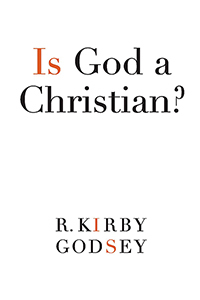 Christians often think and behave as though God is a Christian. This book is written to ask if that assumption is true and to foster a more open conversation about other world religions. The world has grown too small and the stakes for mankind have grown too high for any of us to engage our faith as if our understanding of God represents the only way God’s presence may be known in the world. We need, more than ever before, to develop creative communities of conversation. Conversation does not begin with talking. It begins with listening. Like Quakers of old, we need to gather in humility and honesty to face the meanness and evil that religion itself has sometimes heaped upon mankind.